I haven’t read Danielle Steel in years. More than years, decades. But I used to. Books like Star, Wanderlust, and Kaleidoscope were just what I needed after having the bejesus scared out of me by Stephen King in The Stand and IT, or venturing through the depths of books like Snow Crash and The Diamond Age: Or, A Young Lady’s Illustrated Primer by Neal Stephenson, or Oprah picks like Wally Lamb’s She’s Come Undone or The Poisonwood Bible by Barbara Kingsolver. Danielle Steel was my go-to palate cleanser. Her books were enjoyable, they were familiar. Despite their devastating events, familial tragedies, and tumultuous relationships, I found her books comfortable to read, light and easy — like sorbet. I just finished the audio for The Goldfinch. 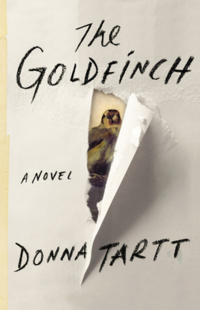 The Pulitzer Prize winning third novel by Donna Tartt, one of the New York Time’s 2013 top ten novels, and best book of the year according to Amazon. This book was a gift and it’s important that I establish immediately that my opinion of the author’s style in no way lessens the generosity of the gift-giver. I wanted to read this book! I’d heard how beautiful the language was. I’d read the commendation by Stephen King. It was indeed a generous gift and I am thankful to the gift-giver. Being literary fiction, I wasn’t surprised that it was twenty-six cds. I know that genre can be bloated, but I love a well-turned phrase and lovely language can make up for the density. I’m here to tell you that nothing happens in those 784 pages. And even when something happens, nothing happens. Sure, there’re a few beautiful wordings, sometimes an insightful sentence, opportunities occasionally avail the main character, but all in all, the considerable details deliver very little story. You all know I’m a writer attempting to complete and publish a novel (or ten). You all know that the more I read, write, and study, the more focused I am. It’s been my learned experience that editing is key to a well-written novel. If you’ve successfully said something, do not repeat it. Ad nauseam. There is also a general understanding of the rule of three: a principle that suggests that there is a natural rhythm when making lists, that three gets the point across without encumbering the reader. I believe The Goldfinch author misinterpreted this memo. Instead of stating three examples, her lists are three pages long. One last element of tight story writing is to stick to the important stuff—that which moves the story forward. The Goldfinch contains approximately 500 pages of ancillary information. That’s merely a guess, it could be more. But I digress, the point of my blog was not to rag on The Goldfinch but to explain how after that literary bloating, I needed a palate cleanser. Something light and fluffy to help with the decompression. I no longer read Danielle Steel, even though she continues to be a prolific writer. But I still needed something easy to read. I selected probably the furthest choice from Pulitzer Prize winning literature. My audio sorbet is Deadly Heat, the fifth book in the Nikki Heat series written by the ruggedly handsome Richard Castle. It is exactly what I needed before I launch into the final Harry Potter book, Harry Potter and the Deathly Hallows, a mere seventeen cds. Deadly Heat is jam-packed with action, intrigue and innuendo. 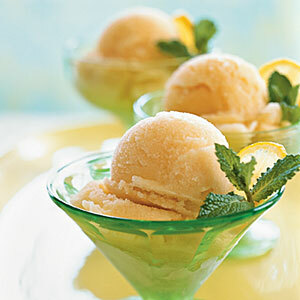 A light and tasty between buffet snack. I can’t imagine I’m the only reader who needs to mix it up every once in a while. How do you recover from an overwhelming reading experience? An underwhelming one? I have enjoyed the Harry Potter series, but I still find I need to break them up with lighter fare. What are your thoughts on literary palate cleansers? This entry was posted in It's all about me, It's all about You, Writing and tagged Audio Sorbet, Barbara Kingsolver, Danielle Steel, Deadly Heat, Donna Tartt, Literary Palate Cleanser, Mary Lamphere, Neal Stephenson, Nikki Heat, Oprah's Book Picks, Richard Castle, stephen king, The Goldfinch, Wally Lamb. Bookmark the permalink.